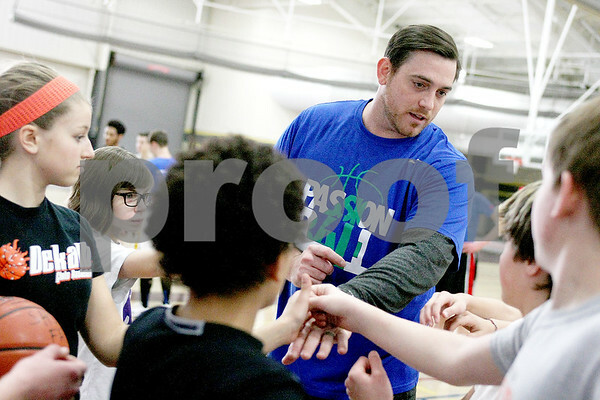 Justin Allen brings in the group of middle-school age children before switching groups during a basketball camp run by Allen at the Sycamore High School Field House on Saturday, March 28, 2015. Allen is a Malta High School alum and played basketball for Arizona State University. He was a national comeback player of the year in 2004 for coming back from Hodgkin's Lymphoma.